The 15th game of the Indian Premier Leagues offers a mouth-watering clash between Chennai Super Kings and the Mumbai Indians. A few players including Suresh Raina, Dwayne Bravo are on the cusp of scripting unique records, MS Dhoni also joins the bandwagon and is on his way to add one more feather to his illustrious cap. The Chennai Super Kings skipper MS Dhoni is just a couple of runs away from getting 4,000 runs for the team. 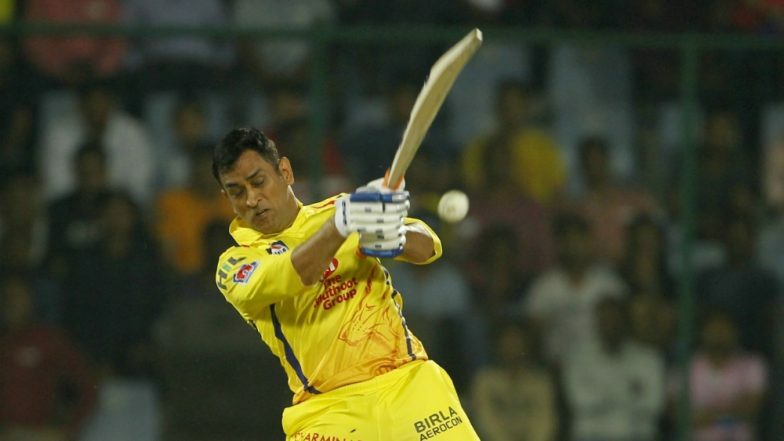 Dhoni has scored 449 runs in Champions League T20 – all for CSK. Hence for CSK, Dhoni has 3998 runs in T20 cricket. MI vs CSK IPL 2019: Mumbai Indians vs Chennai Super Kings’ Rivalry in Numbers! Dhoni in the IPL so far has made 4123 runs in the IPL from 178 matches. The former Indian captain has a striking average of 41.23 runs. But out of 4123 runs, 574 have come from his stint with the defunct Rising Pune Supergiants. If Dhoni gets a chance to bat today and makes those two runs, he will be the second batsman to get this feat for the franchise. Suresh Raina has so far made 5071 runs in the IPL. Mumbai Indians vs Chennai Super Kings Live Cricket Score. Talking about the match today, the visitors will look to improve their record against Chennai Super Kings at the Wankhede Stadium. Out of the eight matches played between both teams at the same venue, the Yellow Army has won three games. Chennai Super Kings will next play against Kings XI Punjab on Saturday at the MA Chidambaram Stadium.